TASS: Russian Politics & Diplomacy - Ten years after Putin’s Munich Speech: whence the threat to peace? Ten years after Putin’s Munich Speech: whence the threat to peace? MOSCOW, February 10. /TASS/. 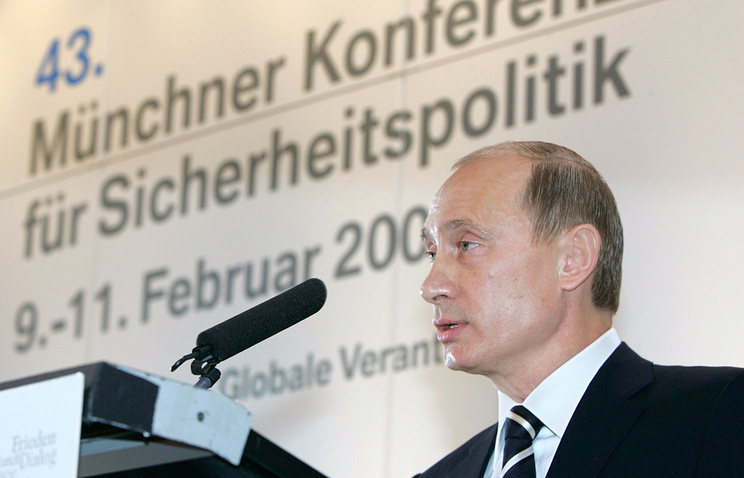 Ten years ago today, on February 10, 2007 Russian President Vladimir Putin addressed the Munich Security Conference. His speech instantly drew world-wide response: for the first time in many years Russia outlined its approach to world diplomacy in such firm and straightforward terms. Many pundits believe that the past decade provided ample proof many of the ideas the Russian leader voiced then are still relevant today, while quite a few negative trends he pointed to keep growing stronger. As he dwelt upon current world policy trends in 2007, Putin warned: "Today we are witnessing an almost uncontained hyper use of force - military force - in international relations, force that is plunging the world into an abyss of permanent conflicts. We are seeing ever greater disdain for the basic principles of international law." These words were pronounced before the advent of the "Arab spring" - a chain of internal conflicts, invariably accompanied by external meddling, including military interference. The civil wars in Libya and Syria are the brightest examples. In both countries foreign intervention was overt and massive. "To a certain extent the use of force has always been standard practice in handling world problems. However, immediately after the end of the Cold War many developed the delusion the very same problems can be resolved by peaceful means - through diplomacy, talks, competition and trade, the academic director of the international discussion club Valdai, Fyodor Lukyanov, has told TASS. "By 2007 that trend made a hopeless U-turn. Suffice it to recall Yugoslavia and Iraq. In his Munich speech Putin warned that if the same trend persisted, it would eventually become a rule and force would begin to be used not only by the United States. So it happened." Certain hopes the situation may get better emerged when the Donald Trump administration took over. During his election campaign Trump said, "We will stop trying to build foreign democracies, topple regimes and race recklessly to intervene in situations that we have no right to be there." It is pretty clear, though, that attempts to follow this principle will run into harsh resistance inside the United States. "Trump will find itself under colossal pressure from the military-industrial lobby, which is the main hawk in Washington," says the director of the Center for Military and Political Studies, MGIMO University Professor Alexey Bodberyozkin. "Incidentally, earlier the same happened to Barack Obama, who succumbed to this pressure, although while being a senator he had campaigned against the war in Iraq. Another key item of Putin’s 2007 speech concerned the drift away from the rule of international law to the 'might-makes-right' attitude to world politics. "No one feels safe. I want to emphasize this - no one feels safe! Because no one can feel that international law is like a stone wall that will protect them. Of course, such a policy stimulates an arms race," he said. In 2006-2016 the United States’ military budget went up to $607 billion from $527 billion. Nato’s budget had long remained stable, but last year it was increased, too, the alliance’s Secretary-General Jens Stoltenberg told the Financial Times. He offered no specific figures, but Janes Defence Weekly says Nato member-countries’ military spending was up to $918 billion from $892 billion in 2015. Stoltenberg said he was expecting further growth by another $100 billion. "An arms race - like the one seen in the Cold War era, in particular in the last days of the Soviet-US confrontation, with its insane stockpiling of nuclear warheads - is now very unlikely," Lukyanov believes. Russia’s defense spending has grown, too, and considerably (in 2010 the government adopted a ten-year program for armaments, its budget set at about 20 trillion rubles), but it was a forced measure, as the share of up-to-date hardware in the Russian Armed Forces constituted a tiny 15%. The share has been up to 58.3% since then and by 2021 it must be no smaller than 70%. And all weapons at the disposal of the Strategic Missile Force must be new by then. Putin is keen to emphasize that growing military spending should not be interpreted as a sign Russia is getting involved in another arms race. "We will never agree to be dragged into an arms race to squander resources that we cannot afford… In 2011 our defense spending stood at 2.7%, and this year, at 4.7%, but next year we will have 3.3% and in 2019, 2.8% spent on defense. We will keep that level, because we have already done certain crucial things in order to achieve a modernization trend," Putin told his customary year-end news conference on December 23, 2016. Nuclear warheads in store "for a rainy day"
In 2007, Putin drew attention to the issue of disarmament. He did so in these words: "A certain potential danger of destabilisation of international relations stems from the obvious stagnation in the field of disarmament… Together with the United States of America we agreed to reduce our nuclear strategic missile capabilities… Russia intends to strictly fulfil the obligations it has taken on. We hope that our partners will also act in a transparent way and will refrain from laying aside a couple of hundred superfluous nuclear warheads for a rainy day." The latest disarmament treaty was signed three years after Putin’s speech in Munich. The then Russian President Dmitry Medvedev and his US counterpart Barack Obama in 2010 put signatures to the START-3 treaty, envisaging reduction of nuclear warheads to 1,550 and of the intercontinental ballistic missiles, submarine-launched ballistic missiles and nuclear-capable heavy bombers to 700. "This treaty is being observed and implemented. The problem is the process does not go any further. There has been no progress," says Lukyanov. In the meantime, START-3 will expire in 2021. Immediately after his election Donald Trump told The Times and Bild in an interview, "They (the previous White House administration) have sanctions on Russia - let’s see if we can make some good deals with Russia… For one thing, I think nuclear weapons should be way down and reduced very substantially…"
"That Trump has linked an issue of current politics, that of sanctions, with strategic stability indicates that he does not have a clear action plan regarding nuclear potentials yet. Sanctions and nuclear disarmament are very different things," Lukyanov remarks. Militarization of outer space was another major subject Putin felt obliged to touch upon in Munich in 2007. "Star Wars are no longer a fantasy, they are a reality… Today I would like to tell you that we have prepared a project for an agreement on the prevention of deploying weapons in outer space," he said. Currently international law in no way controls or bans from outer space any armaments that are not weapons of mass destruction. In 2014 the UN General Assembly voted for a Russian-Chinese resolution On No First Placement of Arms in Outer Space. A total of 124 countries voted for, while the United States, Israel, Georgia and Ukraine opposed it. All UN General Assembly resolutions are advisory and non-binding, though. "Moscow’s stance is simple and clear. All weapons must be barred from outer space. As long as there is no such resolution, research into them will proceed in Russia and in the United States," Podberyozkin said. The US keeps working on its secret project X-37B Orbital Test Vehicle. Originally it started under NASA’s auspices in 1999. There were plans for creating a reusable space vehicle X-37 for repairing satellites in orbit. In 2004 the program was classified and handed over to the US Air Force. The X-37 vehicles have been making orbital test flights since 2010. Analysts believe that they may be used in two different ways: for testing new technologies and putting spy satellites in orbit. Potentially they may also carry weapons but the Pentagon says it has no such plans. "The Star Wars threat is still there, but it has changed somewhat," says Lukyanov. "It is not just the methods of warfare that really matter, but the buildup of groups of military satellites capable of spying activities and interfering with the operation of communication means. 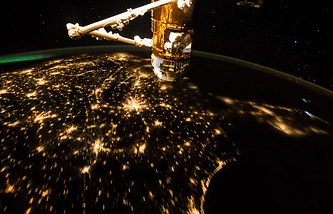 This factor is now even more important than the placement of weapons in space as such." What is the missile defense targeted against? US plans for creating a missile defense system were among the acutest problems in 2007 and Putin could not but mention it in his Munich speech. "Plans to expand certain elements of the anti-missile defense system to Europe cannot help but disturb us. Missiles with a range of about five thousand to eight thousand kilometers that really pose a threat to Europe do not exist in any of the so-called problem countries. And in the near future and prospects, this will not happen and it is not even foreseeable." Obama has claimed more than once that Iran’s research into military uses of nuclear power was pushing the United States towards the deployment of a missile defense. No Iranian nuclear weapons - no US missile defense in Europe, Obama stated. Iran eventually gave up the intention to have nuclear weapons, but that did not stop the process of creating a missile defense in Europe. The US missile defense Aegis armed with SM-3 interceptors is already up and running in Europe and a similar facility is under construction in Poland. 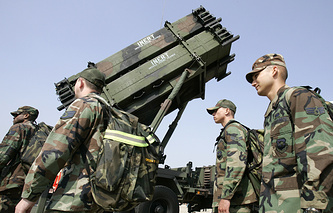 "It is quite noteworthy that the Mk-41 launchers designed for SM-3 missiles will require only minor amendments, if they are to be armed with long-range cruise missiles Tomahawk having a range of 2,200 kilometers and carrying nuclear warheads, which is crude violation of the INF treaty," says military analyst Viktor Litovkin. In his opinion Russia will have to come up with a variety of responses to such US actions, for instance, by bringing its tactical missile systems Iskander-M to Crimea and the Kaliningrad region, from where they would be able to neutralize the US missile defense systems in Romania and Poland respectively. The United States is deploying its missile defense system not only in Europe, but in Asia, too. Just recently the emergence of the US Terminal High Altitude Area Defense in South Korea drew strong protests from Beijing. As a result, Russia and China at the end of January 2017 agreed to start working on countermeasures to this Seoul-Washington deal. Nato’s expansion could not but feature prominently among the issues Putin brought up in Munich in 2007. "I think it is obvious that Nato expansion does not have any relation with the modernization of the Alliance itself or with ensuring security in Europe. On the contrary, it is a serious provocation that harms mutual trust. And we have the right to ask: against whom is this expansion intended?" By the moment of Putin’s speech at the Munich Security Conference Nato had expanded twice. First, Poland, the Czech Republic and Hungary joined the alliance in 1999. Another eight countries followed in 2004. After Munich the process went on, with Albania and Croatia becoming Nato members in 2009. Montenegro’s talks on accession to the alliance are in the final phase. Admission plans have been approved for Macedonia, Bosnia and Herzegovina. Also, Nato has special cooperation programs for Georgia, Ukraine and Moldova. Nato has been not only expanding its realm of influence, but conducting active military operations. "Odd as it may seem, Nato, created as an organization for containing the Soviet Union, started waging wars and carrying out military interventions only after the collapse of its ideological adversary," says Lukyanov. "Nato started fighting wars when its original tasks in fact ceased to exist." 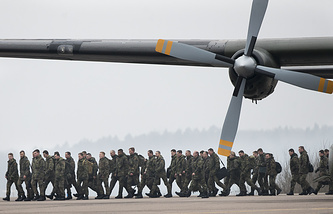 "Nato is bringing its forces towards Russian borders in Poland, Lithuania, Latvia and Estonia. In Bulgaria and Romania it creates command centers. In both countries it deploys a battalion of up to 1,200 men with heavy weapons - tanks, self-propelled artillery pieces, armored personnel carriers and ammunition depots," says Litovkin. Lately, the intensity of Nato’s military exercises doubled. Most of the wargames are anti-Russian. In British military exercises, for instance, troops impersonating a hypothetical enemy wear Russian military uniform and drive Russian tanks. Russia-Nato relations showed no improvement over the past ten years, as follows from what Defense Minister Sergey Shoigu said recently. "Instead of pooling efforts in the struggle against international terrorism Nato has declared Russia as the main threat and it keeps building up its combat potential near our borders," Shoigu said late last year. "On this pretext the military budget of the North Atlantic Alliance has been increased by $26 billion to $918 billion."